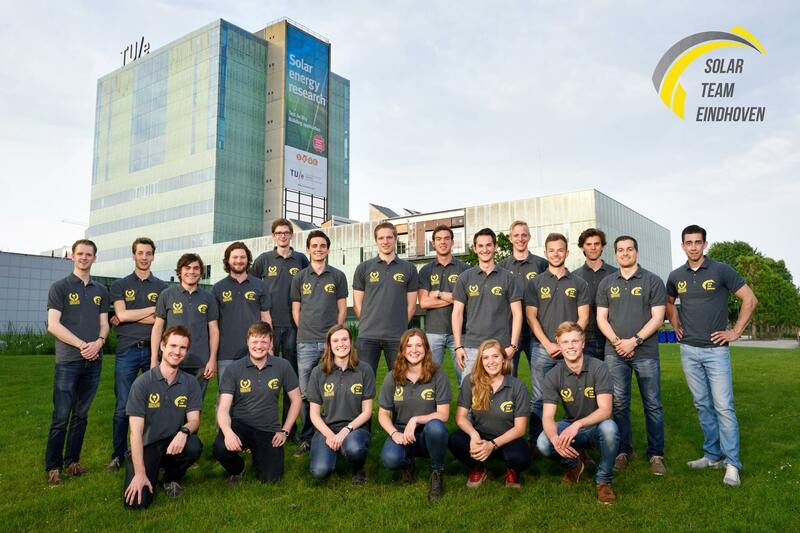 Here they are: the members of Solar Team Eindhoven 2017. This group of young and ambitious students are thrilled to make the next step towards future mobility. They will start just like STE 2013 and we started: with a white sheet of paper. Their creative minds together with the knowledge of 2 World Champion teams will ensure that the next solar-powered car will be of high-class as well. Good luck guys! Her Majesty the Queen opened Dutch first Singularity University in Eindhoven. A lot of great innovations were present, so Stella Lux couldn’t be left out. Our colleagues from Delft also joined with Nuna 5. It was an honor to speak with her majesty Maxima and also nice to catch up with our friends from Delft. After meeting Brainport High School “Jan van Brabant College”, was Heerbeeck College the second Brainport school we visited with Stella Lux. The students worked on exam level questions about the car and we as members where the experts to help them. Really great to see upcoming students work with passion on questions about our car. This month, we also visited one of our gold partners, Ericsson. Tim Jansen gave a presentation about Lux on behalf of the team, whereafter the VIP members of Ericsson were transported over the Ericsson Campus. A beatiful day with a lot of great reactions from the members.